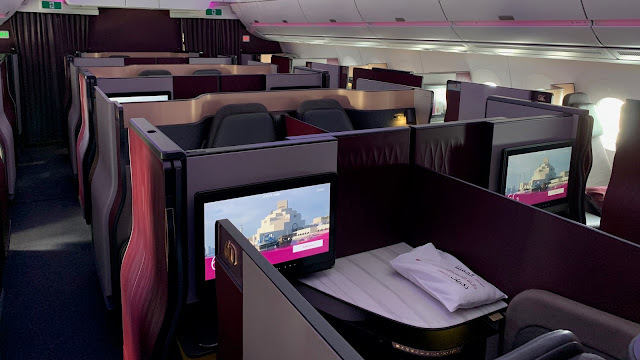 Emirates like Qatar Airways, offers complimentary transit hotel for connecting passengers in economy class with minimum 8 hours connecting time in Dubai. It was actually my second time to stay in this hotel so I knew more or less what to expect. This time, I got a twin room which is probably the only room available when I checked in. The room was very basic with two single beds, flat screen TV, sofa and the usual bathroom amenities. The breakfast buffet was also complimentary and offered a good selection of food. They also have a café where I bought some snacks around midnight as it is open 24 hours. Of course, the hotel offers complimentary shuttle to and from the airport every 15 minutes. The only thing I would have wished for was a complimentary wifi connection but I was told by the receptionist that it would cost extra. Overall, this transit hotel provided by Emirates to their economy class passengers is a very basic hotel with nice room, good breakfast buffet and friendly staff.